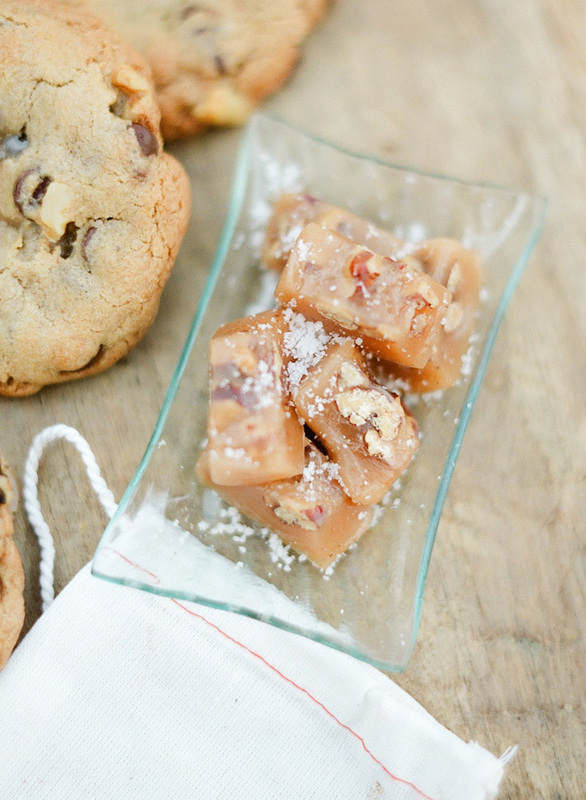 It’s holiday baking week here at SB Chic! First up: chewy caramel bites with toasted pecans. Trust me, you can’t have just one. 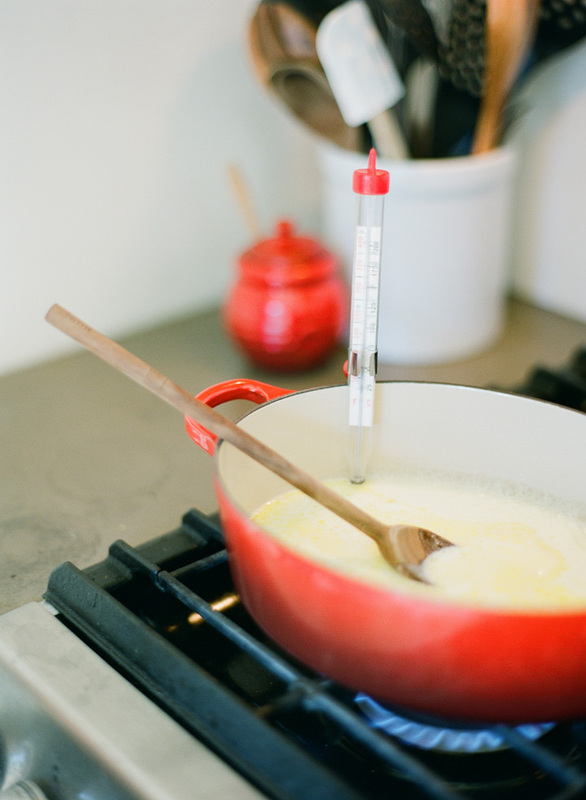 Get yourself a candy thermometer and be careful. The base for this recipe comes from Mark Bittman, and I like it because it’s a lot easier than other caramel recipes; by adding corn syrup, you’re ensuring that it doesn’t recrystallize mid-way through, and by putting most ingredients in at the beginning, you lower the risk of burning the caramel or yourself putting liquids in molten sugar. Let’s get started! 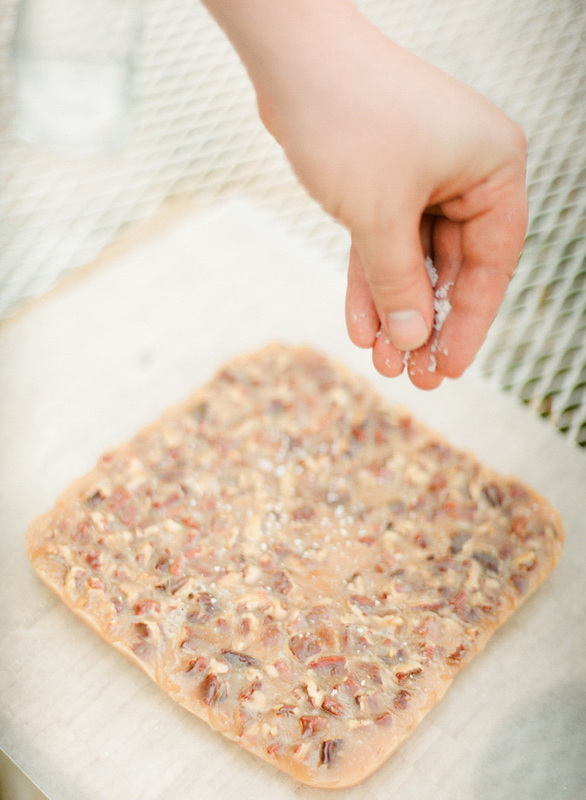 Chop up a cup of pecans, spreading them evenly on a baking sheet, and bake at 350F. Start checking after about 10 minutes. It should take about 15 minutes to get them nice and toasty on the outsides without burning underneath. Set them aside in a small bowl to cool. 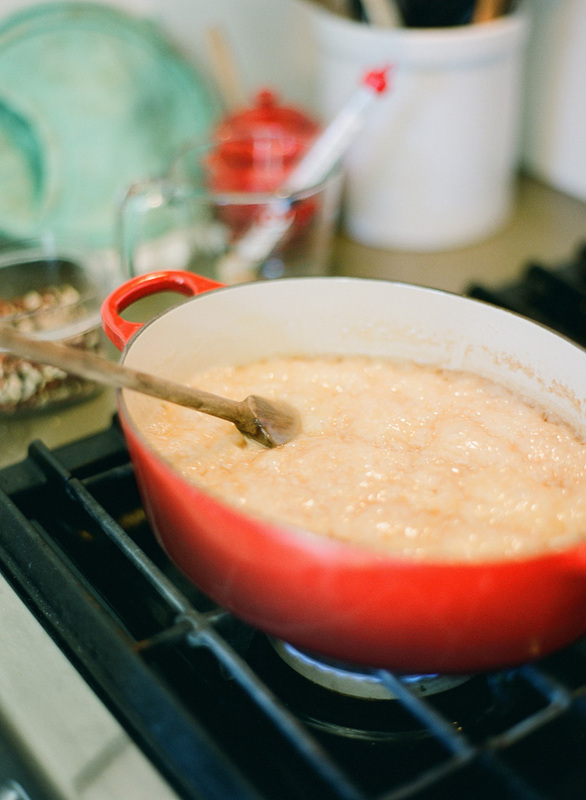 Light colored pans are good because you can see the color, and thick pans are good because the sugar heats evenly. 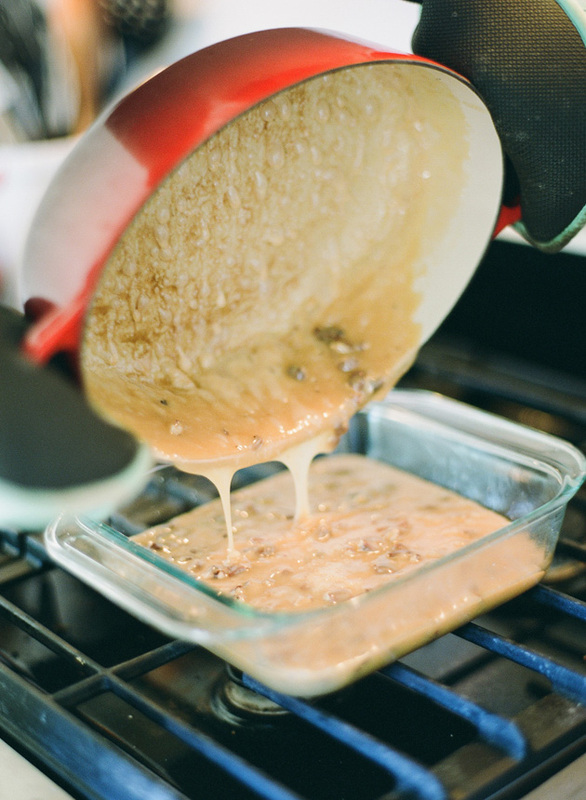 Turn the heat to medium and stir the caramel continuously until the sugar is dissolved. 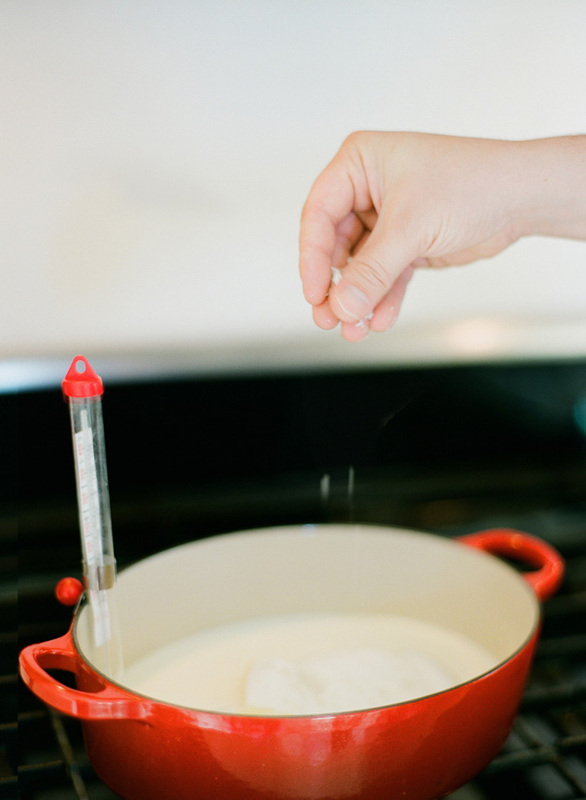 Put the spoon aside after that, and resist urges to mess with the pot while it heats. During this time, butter an 8×8 square pyrex dish (or similar) very well, and sprinkle some sea salt or fleur de sel on the bottom. 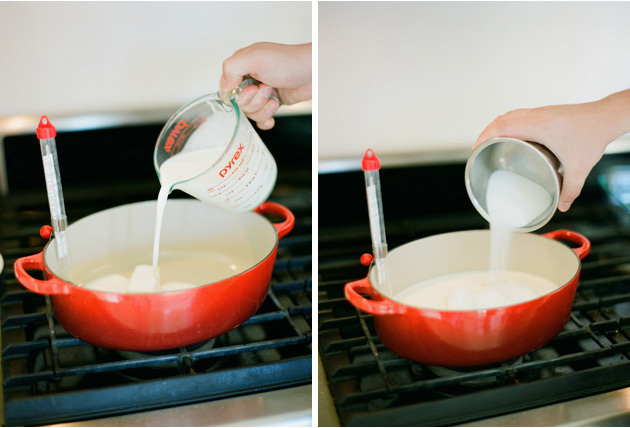 Also, measure out a teaspoon of vanilla and set it aside next to your spoon, some pot holders, and the greased dish. Using a dry, room temperature metal knife, cut the square into strips, then cut the strips into little rectangles or squares. You can eat them over the next couple days, or wrap them in wax paper and they’ll keep for a few weeks (just avoid any moisture). Do it! 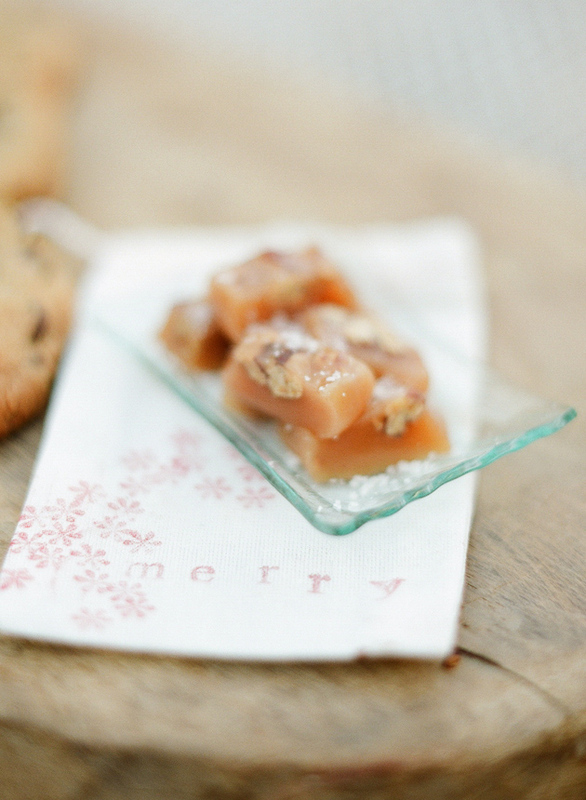 Homemade caramel is the best!! I actually am convinced to give it a try even though I am a disaster in baking. These look delicious! I love caramel, particularly around the holidays. And pecans are such a favorite, too. Yum.